For those who love music like we do, this last week has been a tough one to take. On April 21st, Prince and Lonnie Mack passed away. Two days later Philly soul legend Billy Paul also passed at the age of 82 and a few days before them all, the great vocalist, Lord Tanamo died at the same age of 82 as Billy Paul. A sad week indeed. Lord Tanamo was born Joseph Abraham Gordon and was raised in Denham Town in Kingston. He began singing mento on the street and then in hotels with Cecil Lawes, a rhumba box player but eventually Tanamo would cut great mentos at Caribou. With ska quickly becoming the island’s national rhythm, Tanamo, along with Doreen Shaffer and Jackie Opel, would eventually become one of the main singers of The Skatalites. In fact it was Tanamo himself who gave the band their name as he would proudly tell me himself whenever we met. I first met Tanamo back in 1998, when The Allstonians, who did a great job his backing band at the time, graciously brought him down to WMBR where I got a chance to interview him. I would chat with him on a few occasions after that over the years. A great singer and performer. He will be very missed by many. Speaking on behalf of my family ..we would love to pass our heartfelt appreciation and thanks to you and your listeners for their tributes and kind words. We celebrate with joy, dads music forever. We honored Lord Tanamo by opening our show with four of our favorite tracks that he sang on. Three amazing skas: You’ll Never Know (caribou-1965) , If You Were Only Mine (caribou-1965) , and Come Down (SEP-1965) and a superb mento, Little Fist (caribou-1955). R.I.P. Tanamo. Thank you for all you did. Anglo-Indian Charles Ross as a producer in Jamaica, Charley Ross was best known for his rocksteady productions from his Flame label and from the records that were distributed in England on the Blue Cat label, a subsidiary of Trojan. Given Ross’ reach to England, it is no surprise that he would continue to work with labels there, and in 1969, the Sugar label, a subsidiary of Pye Records, the label responsible for releases from Lonnie Donegan, The Kinks, and Petula Clark, opened, and Ross was named as the production director of the label. 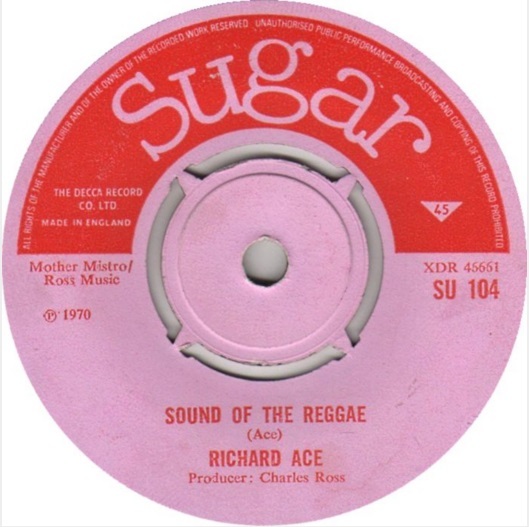 Ross would produce the records in Jamaica, and Pye Records would press and distribute the records in the UK and then Bell Records would distribute them in the U.S. For reasons unclear, this deal with Pye somewhat came to a close, and Sugar was then under the supervision and control of Decca. Hoping that Sugar would be Decca’s definitive reggae arm, the label giant became disappointed in the very short lived output of the label, and Sugar’s last record would be released in 1970. Sadly, that was the last the music world heard from Charley Ross, and it’s such a shame because his productions were recorded exceptionally well. We kicked off this spotlight with the beautiful vocals of Joe White and My Guiding Star from 1969. Sugar released two full-length LPs in its final year: Claude Sang’s World of Reggae Volume One and Charles Ross Reggae Combo’s World of Reggae Volume Two. The Two Zorro Five tracks that we played on the spotlight before our favorite cut from Sugar were supposed to be released on Sugar toward the end of the label, but given its mysterious termination, the Zorro Five singles were transferred to Decca. As our Pat’s Label spotlight was a mix of hot ska and early reggae, we decided to start the April 19th, 2016 Bovine Ska and Rocksteady with some smooth, pretty rocksteady…Two sets worth actually, beginning with Dandy Livingstone and Play It Cool from his 1967 LP release on Giant, Rock Steady With Dandy. A mento set followed the rocksteady sets which had a wonderful tune from The Jamaican Calypsonians on Times Record entitled, Donkey City and for the final set of the hour, we have you a fierce set of ska beginning with the Buster’s All Stars and their TV inspired song, The Fugitive which came out of Voice Of The People in 1965. After that set, we went full force into the Pat’s Label spotlight. In terms of dynasties in Jamaican music, there is no family more prolific than the Chins. Born in Kingston, Vincent “Randy” Chin got started in the music industry working for Isaac Issa, who owned jukeboxes across the island. Vincent would rotate in new records and remove older ones from the jukeboxes. With this job, the old records were discarded, and knowing that these records, while not the newest should not be wasted, Vincent accumulated them, creating the starting inventory for the Randy’s Record Mart when it opened in Kingston in 1958. First, Vincent recorded and produced artists in Jamaican Rhythm and Blues in the early sixties for his Randy’s label, seeing success with Lord Creator and Bunny and Skitter and by 1962, Vincent and Patricia, his wife and business partner, built the formal recording studio known as Studio 17, which would see the talents of everyone from The Skatalites to John Holt to Lee Scratch Perry to Bob Marley as the studio progressed. Besides the signature Randy’s label, during the early sixties, the Chins also created Pat’s Record as an imprint, which is the subject of our record spotlight tonight. Absolutely named after his wife, Vincent would take the helm of producing the tracks released on Pat’s Record. While Vincent did produce the recordings, this spotlight would not be right without discussing the role of the lovely Miss Pat, the inspiration for Pat’s Record, in the Chin family music career. 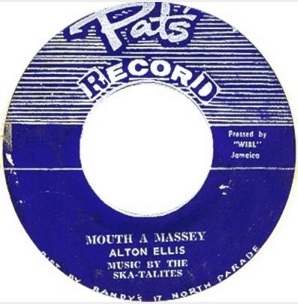 Pat was seminal in the creation of a one-stop record store in Kingston while Randy’s Record Mart did of course sell in house productions, it also sold the records of other producers, and those distribution deals were created by Miss Pat. The Tuesday, April 12th edition of Generoso and Lily’s Bovine Ska and Rocksteady began with a hearty tribute to Toots and the occasion that he will be on tour again this summer after a three year hiatus due to the jerk who hit him with a bottle for no reason whatsoever. We have always loved Toots and have honored him multiple time during the twenty years of the radio show but this time means something more so we started off the beautiful cut that he and the Maytals recorded in 1964 for Coxsone, Heaven Declare. We stayed on the ska for the first two sets of the show with a highlight being BB Seaton as Bibby with The Astronauts on the Astronaut label from 1964 and Wicked Men. For our mento set, we began with one of the many tunes featuring a mento band attached to a Jamaican hotel, which was the thing back in the day. Here we have the Montego Beach Hotel Calypsonians on the (you guessed it) Montego Beach Hotel Gift Shop Label and the song, Red Head, from 1959. Thanks as always to Mike from mentomusic.com for the information on many of the mento cuts we play on the show. An invaluable resource for us over the years on the Bovine Ska. The final set of the first hour started with a version to version of Lloyd Young’s killer reggae from 1972 on Shalimar, Butter and Bread which we followed with The Shalimar All Stars and Bread and Butter. 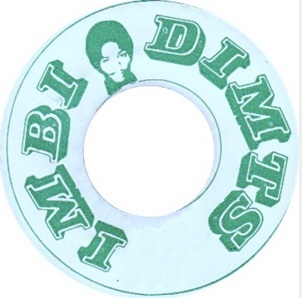 After a few more early reggae cuts, we launched into our spotlight of Keith Hudson’s IMDIBIMTS LABEL! Ken Boothe’s Old Fashioned Way put Keith Hudson on the map as a producer and after that, his collaboration with Dennis Alcapone would launch Alcapone’s career. Speaking of deejays, Hudson would also be integral in the rise of Big Youth, who recorded S90 Skank for the Imbidimts label which had the rhythm of Keith Hudson’s own We Will Make. You can listen to our April 12th, 2016 Bovine Ska and Rocksteady and our tribute to Keith Hudson’s Imbidimts label right here, right now! It’s been a tough year for entertainment, and we are sad to pass on the news of Gilmore Grant’s of The Silvertones passing. He went to the hospital with severe stomach pains on March 28th and passed away two days later, just a couple of weeks after The Silvertones performed in St. Elizabeth. 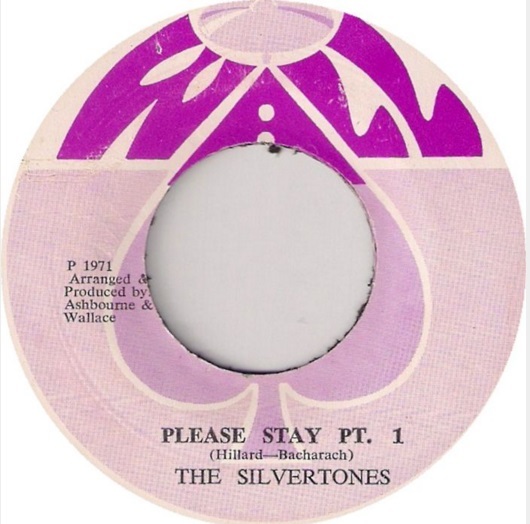 Originally a duo of Gilmore Grant and Keith Coley, the Silvertones became a trio with the addition of Delroy Denton. The group saw early success with Duke Reid, and then proceeded to work with Sonia Pottinger, Clancy Eccles, and Coxsone Dodd. In the late sixties, Denton moved to America, and he was replaced by Clinton “Tennessee” Brown, and the group would continue to record together until Brown’s passing in 1999. In 2013, Grant and Coley added Joel Brown, and the group recorded again and performed live as well. We send many condolences and respect to Gilmore Grant’s family. We honored Gilmore with our opening set of the group he helped form, The Silvertones. Starline is a subsidiary of Melodisc that produced Jamaican rhythm and blues and ska. The label predominantly released Byron Lee productions along with a few from Laurel Aitken, who produced and performed his own tracks for the label. It is no surprise that Laurel Aitken has recordings on Starline. As an artist whose work was readily distributed on the well known Melodisc subsidiary Blue Beat in England, Laurel Aitken naturally had the ability to record and produce at Starline. Born in Cuba, Laurel began his career in music as a mento performer for the Jamaican Tourist Board and as a performer in plenty of Jamaica’s talent shows. 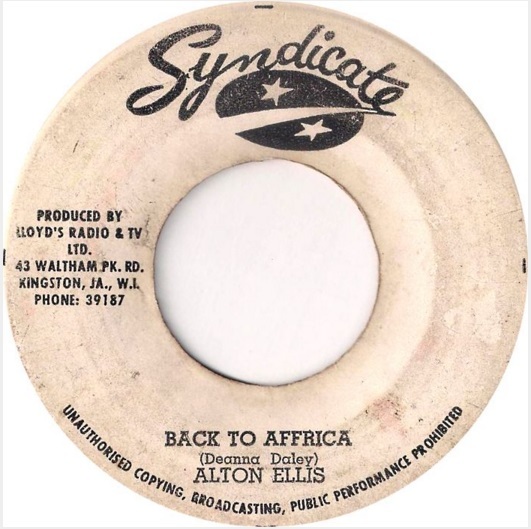 He first recorded for Stanley Motta and then LR DePass, a businessman who released and sold a few mento and calypso records from his shop which also sold furniture, music instruments, records, and appliances. After he made the move to England in 1960, he continued to record, and when he returned to Jamaica in 1963, Laurel was still productive, recording the body of work that would earn him the nickname and title of the Godfather of Ska. Here is our April 5th, 2016 Bovine Ska and Rocksteady which featured a memorial for Gilmore Grant and a spotlight on the Starline Label. It is with sadness that we must share the new that Jimmy Riley passed away on March 23 from bone cancer at the age of 61. Jimmy Riley is a chameleon of music. As a singer, he performed with the Uniques and the Sensations prior to becoming a solo artist, and additionally he emerged as a producer as reggae grew. Furthermore, he is also the father of the noted musician Tarrus Riley. Jimmy will be remembered as a fine singer, a talented producer, a caring father, and a dedicated mentor to musicians. We are so very sad to hear of his passing, and tonight, we will spotlight each facet of Jimmy Riley’s career. We send much respect to his family and all who worked with him. To start off, we will began with recordings from the group that he helped form: The Sensations. Jimmy Riley went to school at Kingston Senior High School with Slim Smith, and he very much wanted to be a member of the Slim’s group, The Techniques, but the group already had four members, so adding a fifth did not make sense, even though Jimmy did his best to join the band, helping to carry clothes to and from shows and rehearsing with them as well. As a result, Jimmy formed the Sensations with Cornell Campbell, Aaron Davis, and Buster Riley, creating a group that had great talent in their own right. The quartet auditioned for Gladdy Anderson at Treasure Isle and were accepted on the spot. King Sporty came by the studio and brought Frankie Lymon & the Teenagers’, “Juvenile Delinquent,” and the Sensations began to rehearse their own version of it. The group’s version of that iconic track was their first recording, and they saw success with it at the dances in Jamaica. Next, we’ll hear The Sensations’ “Juvenile Delinquent,” the track that marks the strong beginning of Jimmy Riley’s career as a recording artist. After the Techniques disbanded, Slim Smith founded the Uniques with Franklyn White and Roy Shirley. That first version of the Uniques separated after their early recordings failed to take off, and Slim took some time to record as a soloist. Well, the Sensations would disband during this time, and upon this, Jimmy reunited with Slim Smith along with Jackie Parris and Lloyd Charmers as a vocalist for the second version of the Uniques. The Uniques saw great success, defeating Bob Marley and Wailers to win the Battle of the Groups at the Ward Theater. We’ll heard Jimmy Riley with the Uniques next. “Lesson of Love” was written by Jimmy Riley. After the Uniques split up, Jimmy Riley began to record as a soloist, first for Bunny Lee. Born as Martin James Norman Riley, Jimmy is credited as a recording artist and a producer as either Martin or Jimmy Riley. While most know Jimmy as a soloist for his track, “Love and Devotion,” which he recorded for Sly and Robbie, his early solo works are excellent, and you’ll hear them next. 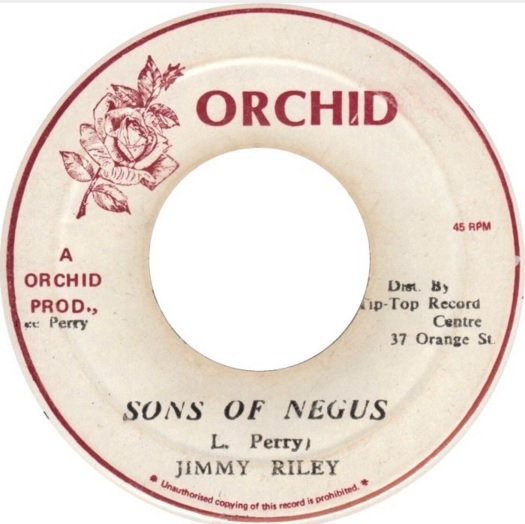 As a producer, Jimmy Riley created his own labels, which included PEE, the subject of one of our label spotlights, along with Yes and Full Moon later in reggae. Plenty of his productions also made their way to England, to be distributed by some of our favorite English imprints. To kick off this hour of Jimmy Riley productions, we’ll start of with three tracks from the mighty PEE label. For a younger generation, many know Jimmy as the father of Tarrus Riley, and the two of them would often perform as a duo, including most recently at Central Park’s Summer stage last year. We send much respect and many condolences to Tarrus. If you love the ska, and we think you do, then you will love the beginning of this week’s Generoso and Lily’s Bovine Ska and Rocksteady from March 22nd, 2016. We started with two sets of rare ska beginning with the massively underrated vocalist and guitarist, Basil Gabbidon and his 1963 cut for Prince Buster’s Wildbells Label, Dig The Dig. Our mento set this week featured an awesome tune from Joseph Gordon, aka Lord Tanamo entitled Wicked Woman that was released on the Caribou label. We ended the first hour of the show with an early reggae set beginning with a version to version excursion from 1972 on the Sioux Label. Joe Higgs’ Lay A Foundation was followed by Jackie Rowland’s version. Lloyd the Matador Daley is one key figure in the Jamaican music industry that we love on the Bovine Ska. While best known for his Matador label and soundsystem, Lloyd Daley has much more known to his name. As a young man, Daley graduated from Kingston Technical High School with a focus on electronics. As a result, he had the skill to transform his amplifier to one for a sound system. In 1958, the popular Matador sound system opened up on Victoria Avenue, and nearly simultaneously, Daley also opened up Lloyd’s Radio and Television Service to repair electronics in Kingston. Given this technical gift, Daley was able to create a purer, richer sound for the Matador system, giving him an advantage over others and allowing him to advertise his sound systems to other selectors and operators who would then purchase their equipment from Daley. Due to difficulty in getting records, Daley decided to record his own tracks starting in 1958, beginning in the Rhythm & Blues. Given his sound engineering focus, Daley’s recordings would come to be known as some of the cleanest, undistorted recordings in R&B and ska. As with many operators, Daley had plenty of record labels, including Mystic and secret Agent in addition to his signature Matador label, and the one we want to highlight tonight is Syndicate, an excellent reggae label laden with Daley’s deep knowledge and skill of sound production. The Matador sound was so strong that on the celebration of Big Junior, who had just been a part of Dr. No, Duke Reid and Lloyd Daley were set to each play an hour set. However, Duke Reid decided he wanted more than an hour, and in order to correctly take his turn, Daley, laid down Lloyd Lambert’s “Heavy Sugar” and turned up the volume, eventually drowning out Duke Reid. When police gave Daley a hard time about the noise produced by the sound system, he took it down and sold parts of it to fund a recording studio in the new electronic repair shop. In this studio and recording space, Jackie Mittoo’s “Dark of the Sun” and The Scorchers’ “Ugly Man” were recorded. Per the request of our longtime listener Melody, we decided to dedicate the entirety of the March 15th, 2016 Bovine Ska and Rocksteady to our favorite women vocalists in Jamaican music history. We started that show with a long set of the male/female duets that were quite popular during the Jamaican rhythm and blues era. Keith & Enid were Keith Stewart and Enid Cumberland, and they were one of the first duos to see chart success, scoring a #1 single in 1960. Derrick and Patsy’s “Love not to brag,” which was inspired by Eric Monty Morris, who was better off than Derrick’s family and may have had the tendency to brag about the things he had. Born in West Kingston, Patsy grew up adoring Frankie Lymon, so much so that her dream was to marry him. When Patsy ended up leaving school at the age of 14, Derrick Morgan approached her to sing on a record a duet with him on a tip from Patsy’s mother, who had approached Derrick and told him that Patsy had a great voice. And that help from her mom started a successful duet that began with “Love Not To Brag, Love Not To Boast,” a hit for Duke Reid’s Dutchess label. Patsy also collaborated with Stranger Cole; then in the late 60s, she moved to America, giving up on the music industry, and worked as a hospital secretary for three decades, only to return to music in more recent years with retro shows. Millie Small is the first Jamaican female singer to achieve international success with her cover of Barbie Gaye’s “My Boy Lollipop,” which introduced a much wider audience to ska. But before that enormous hit, she got her start at Vere Johns Opportunity Hour, winning the contest at the young age of twelve. In her early recording career, she recorded in duos, including the track you just heard from Millie and Roy Panton, “We’ll Meet,” which was a hit in Jamaica. The Soulettes were Rita Marley, her cousin Constantine Walker, and Rita’s school friend Marlene Gifford. One day, Rita heard that the Wailers walked by her house, and the Soulettes approached them and sang a quick song, which Peter Tosh reacted to and consequently invited them to record at Studio One, where Bob was auditioning singers at the time and gave the trio their name. 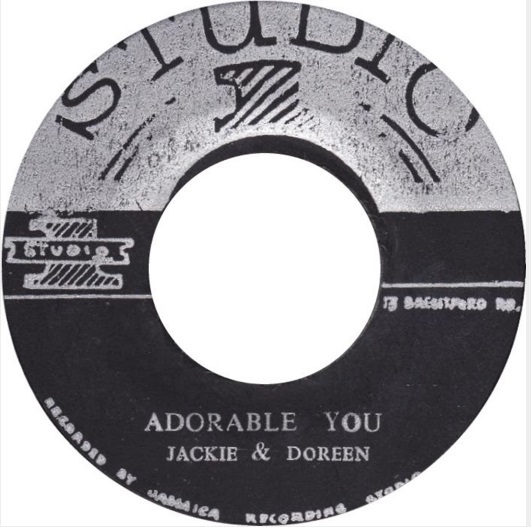 Doreen got her start at Studio One, and was one of the original four singers for The Skatalites and the singing partner of Jackie Opel. Born in Linstead, Phyllis began her musical career performing with the Vulcans as a young singer, and when the group played at the Glass Bucket Club in Kingston, she caught the eye of Lynn Taitt, who brought her over to Duke Reid’s Treasure Isle. In 1967, Phyllis moved to New York, but she would continue to fly back to Jamaica to record for Duke Reid. The Gaylettes were originally Judy Mowatt, Merle Clemenson, and Dawn Hanchard. The earliest tracks of the original group were not successful, so Judy Mowatt returned to dancing, which was actually her original desired career path, and The Gaylettes went on hiatus. While dancing with a group in Kingston and selling products for the Colgate-Palmolive Company to survive, Judy met Beryl Lawson. While rehearsing a dance routine at the Baby Grand Club, Judy and Beryl began to sing together, and upon realizing their ability to harmonize together, Judy called over Merle Clemenson, forming a trio that would become the next incarnation of The Gaylettes. As a teenager, like so many of Jamaica’s great voices, Marcia Griffiths’ passion for singing began as a member of the church choir. However, her singing at home would launch her career. Philip James of the Blues Busters heard Marcia’s voice next door when he went to visit his girlfriend, and he immediately brought her over to Byron Lee and insisted that she be a part of the line up for an upcoming talent show at the Carib Theater on Easter Sunday. Though skeptical, Byron Lee included her in the show, where Marcia’s cover of Carol Thomas’s “No Time to Lose” caught the attention of Ronnie Nasralla, who brought her over to JBC that same evening to perform on television. Originally a gospel group who recorded for Coxone Dodd’s Tabernacle label as the Soul Sisters, the group would also record as the Reggae Girls before becoming the Ebony Sisters. As the Ebony Sisters, they recorded for Harry Mudie and Bunny Lee. During their career, they would also join forces with I Roy and Ralph Haughton. One of the most creative and daring of singers, Nora Dean recorded in many forms. As a solo artist, she recorded for the big producers in Jamaica including Coxone Dodd, Duke Reid, Lee Perry, and Bunny Lee. She was also a member of The Ebony Sisters, The Soul Sisters, and The Soulettes. Hortense Ellis, like many of the great Jamaican artists, got her start on the Vere Johns Opportunity Talent Show, entering her first contest at 18 and making it to the final round four times. As the sister of Alton Ellis, Hortense did get a bit overshadowed by her brother, but she did see success with her talent, winning the silver cup as Jamaica’s Best Female Vocalist in 1964 and 1969. She toured with Byron Lee and the Dragonaires in the 60s and recorded with the major producers in Jamaica, including Duke Reid, Coxone Dodd, and Ken Lack. The wife of Winston Blake, Cynthia got her start in 1972 when her friends from work at the Jamaica Telephone Company tricked her into auditioning for the Merritone talent series. She caught Blake’s attention, and he produced and released her record Ready and Waiting, which was a success for her and the Merritone Music label. Sonia was one of the most powerful women in the Jamaican music industry, for she was the first female record producer and label owner. She and her husband first recorded artists and sold records from their home, and after the two split up, she built a pressing plant and recording studio behind the record store. Janet Enright got an early start in music, performing as a guitarist for the prime minister and Louise Bennet as a teenager. She joined the Eric Deans Orchestra at the age of fourteen. Here, she befriended Don Drummond and Wilton Gaynair, and she would join them as a member of Wilton Gaynair and the All-Stars. When Janet formed her own band, she performed for American artists who visited Jamaica. When Coxone was traveling to buy records, Doris would setup dances and select records for the Downbeat soundsystem. She also sold Studio One records at her shop, Music Land, providing a store front in Spanishtown to sell records.